When you think moms and cars you likely think minivans. There are lots of stories of moms going from their pre-kid car to the minivan that holds the kids, their friends, a dog, a stroller and just about anything they can think to cram inside the thing. What you don’t think of when you hear moms and cars is engineers, but the 2013 Chevy Malibu aims to change that perception with their team of mom engineers. 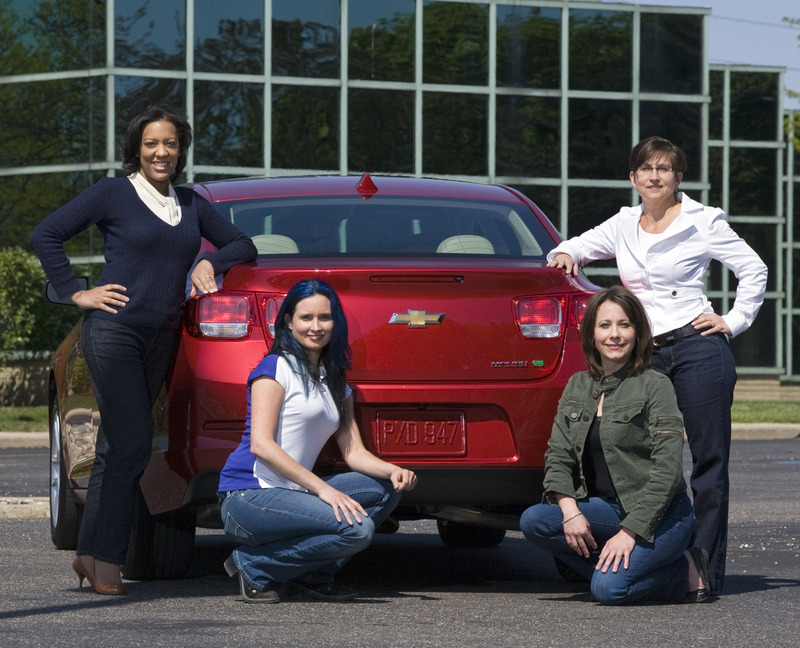 Suzanne Cody, Julie Kleinert, Kara Gordon and Tracy Mack-Askew are a team of mom engineers that worked on the Chevy Malibu, bringing to it not just a professional perspective, but one infused by their lives as moms. Lead acoustic noise engineer Kara Gordon is the mother of two young boys. She’s had first-hand experience with a child trying to tell her something while getting on a highway and straining to hear over the road noise. It’s frustrating and unsafe trying to drive and figure out if things in the back are okay or if you need to stop. Ensuring a quiet ride that doesn’t drown out little voices is just one of the ways this team has worked to improve the Chevy Malibu. Aerodynamics engineer Suzanne Cody spent time in the wind tunnel working to reduce wind drag and thereby increase fuel efficiency. She’s a single mom and understands that every dollar counts. 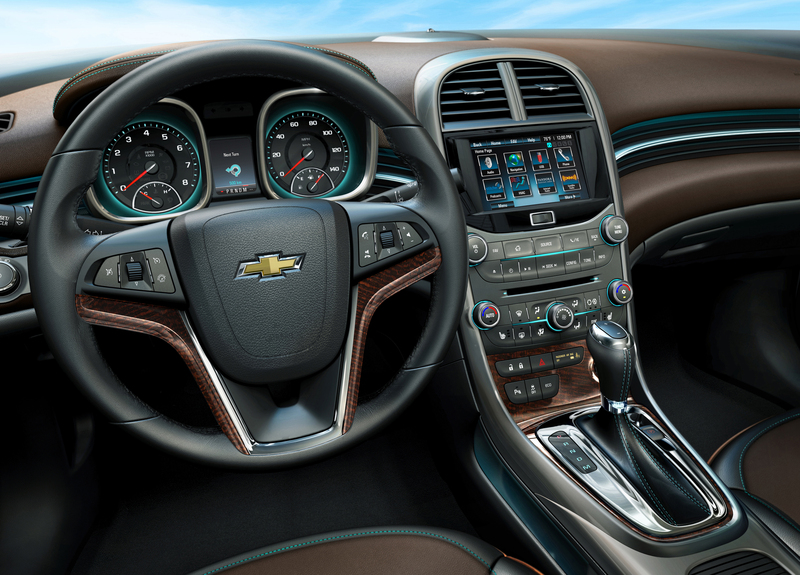 Her work, combined with eAssist technology, gives the Malibu Eco a GM-estimated 25mpg city / 37mpg highway. The eAssist system uses power from an air-cooled, lithium-ion battery to give the engine a boost during heavy acceleration instead of guzzling gas. It also allows for fuel cutoff during deceleration and an automatic start/stop that uses electricity instead of gas when the car is stopped. It takes a little while to get used to the car turning off when you stop, but the transition is seamless enough that other than the sudden silence, you’d never know. With women buying about half of cars sold in the US and being involved in 80 percent of family car buying decisions, General Motors recognizes the importance of having women involved in the development of the cars it sells. The GM Foundation supports programs that encourage women to pursue careers in STEM, (Science, Technology, Engineering and Math) including high school robotics programs and scholarships. In 2009, the number of women graduating with engineering degrees hit a 15-year low, and these programs are important for encouraging women to pursue these careers and ensure their input in future designs. Chevy gave me a Mailbu Eco to drive around for a week and with kids in tow, I gave it a run for it’s money. The first thing I noticed was that this doesn’t look like a boring mom car. It was absolutely beautiful sitting in my driveway and a first glance at the interior showed lots of wood and chrome accents. I took it on a bit of a trip to the beach and found it a comfortable ride even after a few hours. There were also lots of hidden areas for storing things, like a pull-down compartment to the left of the steering wheel and an in-dash navigation screen that opened for a good sized bit of additional storage. The trunk was roomy, although cut a bit short due to the space needed for the lithium ion battery. The rear seat split and folded down, though, so you could always put a large object through from the trunk to the passenger compartment as long as you didn’t need the passenger space. I found a couple of little features that I just loved. The trunk actually pops open and slowly rises all the way open so you don’t have to juggle your keys, bags and the trunk lid all at the same time. The rear seat armrest revealed two cup holders which are fantastic for kids who are out of booster seats, but still need somewhere to put that oh-so-spillable carton of milk. And as promised, it was a very quiet ride. I had not trouble hearing my kids chatting away in the back. On the downside, I found the 182 horsepower engine didn’t have quite the pep I like in a car. Accelerating hard onto a highway it really worked and you could hear it and feel it. Inside, the stereo sounded good, but with the AC on full blast the sound of the air drowned it out and you had to choose between music or comfort. Also, my 8 and 10 year old kids found leg space a little narrow, especially if someone tall was sitting in front and pushed the seats back. Overall, at a starting price of $25,235, the Chevy Malibu Eco is a good alternative to a traditional hybrid. You get a beautiful, comfortable car and superior fuel economy without the added hybrid price tag. Additional trim levels begin production over the summer and will be out later this year. ← Hack Build With Chrome for Pink Legos!